The cremated remains will be launched into space in a SpaceX rocket. A San Francisco-based startup is planning to send the cremated remains of a 100 people into space, in a unique celestial memorial. 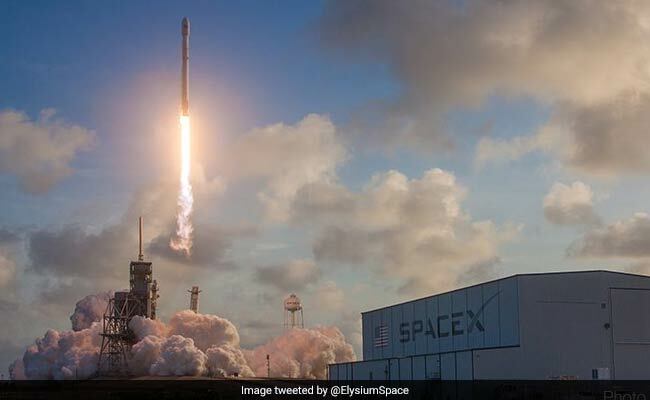 Elysium Space said families paid about $2,500 to have a sample of their loved ones' ashes placed on a SpaceX Falcon 9 rocket, which will be launched into space. The remains, according to Fox News, are expected to be launched into space on December 3. Traveling into space will be the remains of military veterans and aerospace enthusiasts, alongside those whose families were "looking to celebrate a loved one within the poetry of the starry sky," Elysium Space said to CNN in an emailed statement. According to the company's website, the ashes are first placed in an engraved capsule. "After you ship the capsule back to us we will carefully and respectfully place your capsule in a dedicated spacecraft module," they write. A 4-inch square satellite called a cubesat will hold the ashes of the 100 people. The family members of those whose ashes are travelling to space will be able to track the satellite's progress through an app on their phone. They will also be able to send a message along with the cremated remains of their loved ones. According to CNN, the spacecraft will orbit the earth for four years before it falls back to earth. This is not the first time that cremated remains have been sent to the stars. In 2012, the ashes of 320 people were launched into space in a mission similar to Elysium's.